Ciao Ciao Friends! We're back from our wedding and honeymoon road trip. What an amazing few weeks. 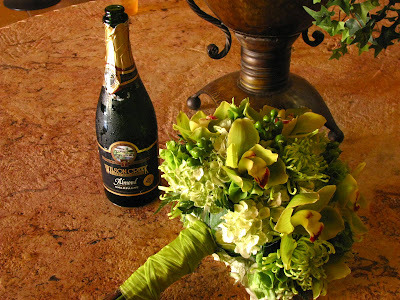 The whole wedding, including pre-party and post events went off without a hitch! I'm sharing just a few pictures that were taken by friends and family at the wedding and reception at Wilson Creek Winery in Temecula, California. (I don't have the pro shots quite yet. )The weather was gorgeous and the winery provided a beautiful and elegant backdrop. 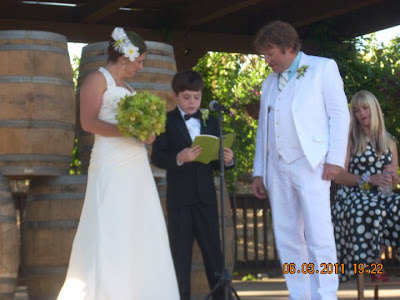 One of our good friends officiated the wedding. She did a fabulous job! 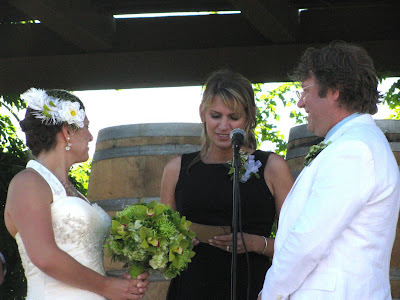 It was so nice to have someone so close to us actually perform the ceremony. Matt's son Jack did a reading. Doesn't he look adorable in his tux? From the minute he knew Matt and I were getting married he told us he would be wearing a James Bond style tux. Love that kid! 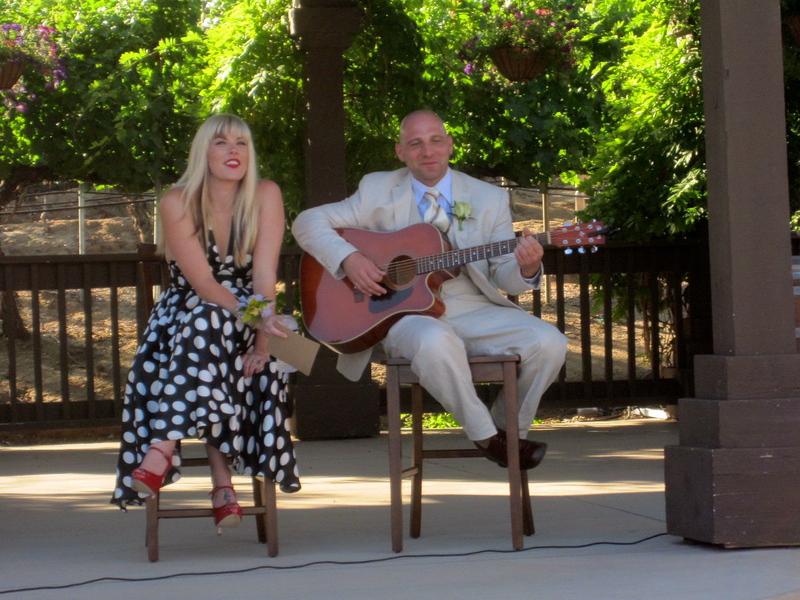 Matt's sister Carrie and my brother Kyle provided the music. They sang Iron & Wine's "Such Great Heights" as a duet, which was just beautiful! Our reception was in the winery barrel room. So cool! With very minimal decoration, this room was breathtaking. We had one of these centerpieces on each table. 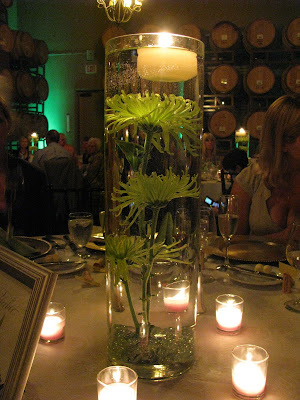 Green spider mums were floated in the vase and were topped off by a floating candle. I was thrilled with all of the flowers at the wedding. All green, just what I wanted. The florist asked to take a picture to keep in her files as it was so unique. The whole day was just amazing and I wouldn't have changed a thing! I'll be sure to share some of the professional wedding shots when they come. Our photographer was great too! Oh Jen it looks soooo beautiful. Just perfect! Congratulations!! !